Crossbody Owl Print Satchel £15.99! Carry all your everyday essentials in this satchel bag. 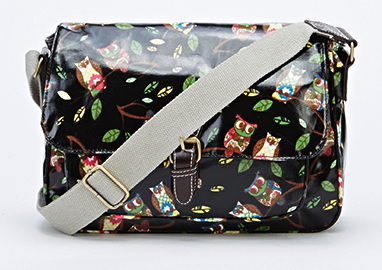 With an all-over owl print, a flap-front opening and an adjustable cross-body strap, it’s the perfect carry-all! NEW!!!! GREY! Multi Owl Print Crossbody Satchel £15.99! WHITE! Encrusted Buckle Bag For £18.99!